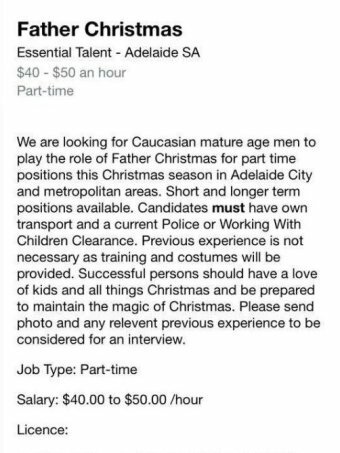 An online advertisement for “Caucasian mature age men” to play the role of Father Christmas in suburban shopping centres in Adelaide has been taken down from a job website following criticism online. It also asked those interested to send in a “photo and any relevant previous experience to be considered for an interview”. The ad was taken down after drawing criticism online. A spokeswoman for Essential Talent told ABC News the word ‘Caucasian’ was not in the original text sent to the job search providers. “I did the ad myself and did not put that [Caucasian] in there,” she said. In a separate statement, Essential Talent added that it was “a casting agency, casting all sorts of roles with specific requirements”. “This is one of those jobs,” the spokesman said. Miles Heffernan, Director of Litigation at Discrimination Claims, said the law is clear when it comes to advertisements. “In most states, it is unlawful to discriminate against someone on the basis of their race or ethnic origin when recruiting for a job,” he said. “An advertisement calling for only Caucasian applicants is unlawful, and is not allowed. However, Mr Heffernan said in some states there are exemptions which allow racial discrimination where it was a “genuine occupational requirement” of the job that a person be of a certain race. “But I don’t think it’s an inherent part of the job to be white for someone to play the role of Santa Claus,” he said. 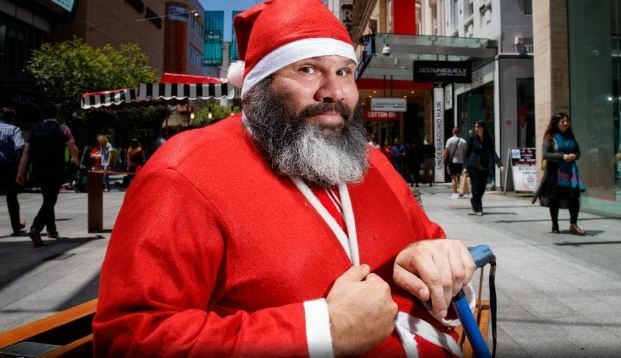 Aboriginal man Arthur Butler (pictured above) wants to play Father Christmas this season, and said he was disappointed by the “Caucasian-only” ad. “I was a bit shocked by it,” Mr Butler told NewsLimited. Mr Butler says he would “love to be Santa to see the kids’ faces light up”. “I love to bring happiness into people’s lives,” he says. Mr Butler says he called the talent agency and they told him being Aboriginal would not hurt his application but that they had already filled all of the positions. 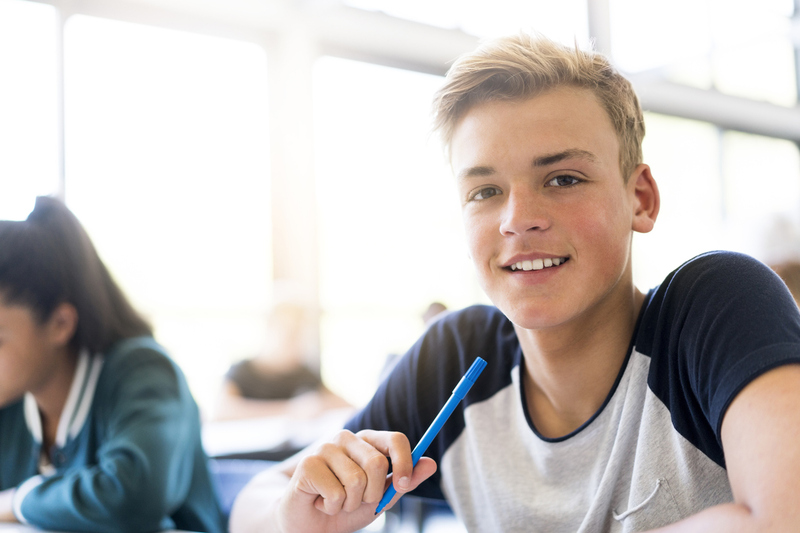 If you have been discriminated against on the basis of your race or ethnic origin, you may be entitled to compensation. 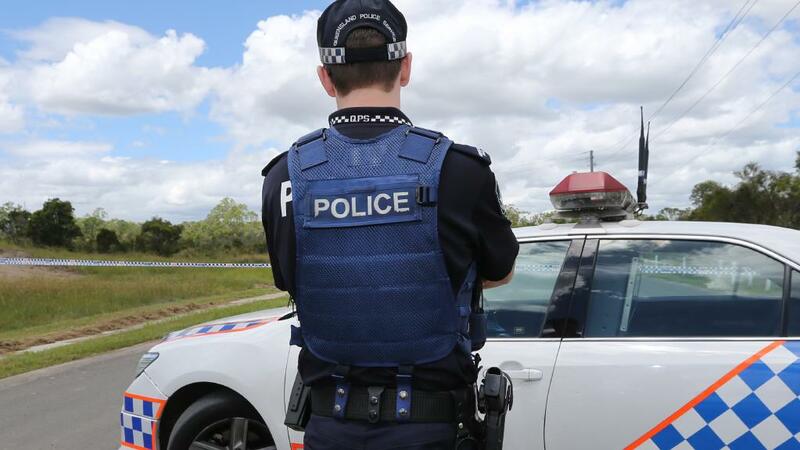 Please call our friendly team today on 1300 853 837. For more information about discrimination, click here.